It’s only natural that those qualified in the field seek to make the change from CNA to LPN as they look to further their career. The nursing industry is experiencing something of a rebirth in terms of its relevance, need and the general interest as a career path. Due to changes in the health care system (or perhaps just proposed changes and improvements), many people are regarding the medical fraternity in a whole new light with the increased potential of a growing industry offering renewed appeal. Another reason nursing has experienced renewed focus by the public is because of the greater need for quality caregivers, as statistics point to a growing number of people beyond the age of 65 years in need of special care. Of course where there’s a demand there’s inevitably a supply. Certified Nurse Assistants were, and still are, a convenient and relatively quick way of getting into the medical fraternity (albeit through the proverbial side entrance); if you’re suddenly in need of someone with a level of nursing expertise and are also willing to take on that responsibility. Since there are many people who have loved ones in need of special care, the CNA course offers a legitimate and quicker way for them to acquire the necessary skills to do the job adequately. Bridging then, from CNA to LPN may come once the skill set ceiling of the CNA has been reached and further skills are required to perform the job and provide the care needed. There are many reasons to make the transition, perhaps most prominent of all is the increase in salary, but for those with more applied or hands-on inclinations, the Licensed Practical Nursing course offers a wider range of expertise in the curriculum. To find the prime differences between a CNA and an LPN you’d have to consider the difference between a certificate and a license. The difference stretches further than just two pieces of paper though; the length of the courses and programs involved also differ. Effectively the LPN is the more qualified of the two; whereas the CNA acts purely as an assistant and does not administer care medication or treatment of any kind on their own accord. So, when most of the skills are comparatively possessed by the LPNs, what skills do the CNAs have? The CNA is qualified and trained to clean patients’ wounds as well as fluids caused by the patients’ illness. They’re also charged with assisting patients’ who are unable to perform normal tasks like dressing and washroom visits. No doubt both the Licensed Practical Nurse and the Certified Nurse Assistant are crucial jobs, invaluable to the medical fraternity and those who require special care. How Do You Become a CNA or an LPN? The number of people in need of special care has grown in recent years, and thus, so has the demand for nurses and caregivers. With this greater demand has come an increased number of people looking into nursing courses to provide adequate care for their loved one; this in a time with an already overworked medical fraternity. Institutions have thus looked to satisfy this need by offering a number of courses, many of them online. Those courses and programs would of course need to be accompanied by a sufficient number of hours of clinical work experience. The typical Nursing Assistant certification course takes between six and twenty four weeks of study while the LPN program will last up to one year. The transition program from a CNA to LPN will also take be a year-long course. Once qualified in their respective CNA and LPN training courses, both CNA and LPN will work under supervision by either a Registered nurse or a physician. Why change from a CNA to an LPN? Patient prepping which includes informing them about their pending procedure as well as physically aiding them, perhaps in dressing them and administering medication, pre or post operations. The responsibility of guiding patients toward the correct department may also fall to the LPN. With doctors dealing with all sorts of problems, wounds and patients with a variety of illnesses, the LPN is trained to deal with smaller wounds – needless to say they are also well versed in first aid. Feeding patients who are unable to do so for themselves is another duty of an LPN, as well as administering their constant supply of water. Providing emotional support to patients and family; the general task of care giving. Therapeutic massages, if requested, is also a responsibility of the LPN, as bed ridden patients lack the necessary exercises to maintain or improve their health. LPNs are also tasked with cleaning patients and maintaining good hygiene for those who are unable to clean themselves. A GED or high school diploma is of course a prerequisite, although gaining admittance to an institution (technical school or community college) for the LPN program may well present its own challenges. There are a few conditions that need to be considered before applying. The applicant (who of course is a qualified Certified Nurse Assistant) must in many cases be in possession of a cardiopulmonary resuscitation certificate. Due to the increase in applicants in LPN programs, current CNAs may find places in the study program hard to come by. Some institutions may require a CNA applicant to have a full year’s experience behind them to be accepted. Of course there are also special care-giving qualities that a person should possess to be able to be a nurse. Part – time LPN programs are available, thus one can study to be a Licensed Practical Nurse while working as a CNA. Note: being a CNA is not a prerequisite of taking the LPN program – there are non-CNA courses on offer. Why Are There So Many Nursing Types? There are so many different types of nurses – all specialists in their own right. 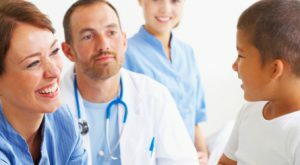 They include Clinical Nurse Specialists (who work with Nursing staff to maintain certain standards), Nurse Practitioner (they may specialize in a variety of areas including Pediatrics and Gerontology), Neonatal Nurse (they care for premature or ill babies), Orthopedic Nurse (typically for those with joint ailments such as arthritis, and diabetes sufferers), Psychiatric Nurse (found in mental health facilities) to name a few. These professions are also among the highest paying nursing specialties around. To put it one way, the simplest form of nurses, non-specialty nurses include the Registered Nurse, LPN and CNA. As the medical fraternity expands and improves, and as the amount of people needing care increases with more people looking for employment in the nursing industry; Nursing as a whole has had to adapt. Every type of nurse, in whatever capacity, is there to satisfy a need. The Certified Nursing Assistant program can then be regarded as the base level or entry level rung on the nursing ladder with very good job prospects on offer. With this increased “popularity” of the nursing program, comes a drawback. Nursing requires a certain type of person to perform the roles adequately, needless to say the qualification process to become one is very stringent. There are a number of exams which every applicant needs to pass in order to progress. As mentioned earlier, there are a few online courses available for those looking to take the bridging course between a CNA and an LPN. It’s not a guarantee that current CNAs will find courses with the title of ‘CNA to LPN program’, but there are a number of courses on offer for those wanting to be an LPN with a prerequisite being that the entrant be a Certified Nurse Assistant. It must be stressed though that despite the availability of these courses online, those studying and making use of them will inevitably need hands-on working experience and notch a number of hours of hospital or clinic training. Thus, suffice is to say that the online courses can never be more than mere theoretical courses, to be used more for those who have little alternative. For those looking for schools which offer online nursing programs as well as CNA to LPN programs, here is a list of ten. This list is no specific order and all carry a very high standard of both courses they offer, as well as the requirements for entry. Some of the courses are bound by state law (where some of the regulations may differ) and others have particular requirements for applicants; notably in the case of age – some institutions require applicants to be at least 23 years old. All those in this list offer online CNA to LPN programs. Needless to say there are more universities and colleges with similar offerings, and this list is only a few examples. Since the LPN carries a higher qualification to the CNA, they naturally earn a higher salary. Although both are subject to supervision, the LPN has many more responsibilities as the Nurse Assistant will always be regulated to supplementary roles. With that, the typical annual earnings for an LPN is around the $41 000 mark (equating to about $20 an hour), whilst the mean annual salary for a CNA is at a little over $25 000. Naturally the opportunities for growth is heavily in the LPN’s favor, prompting many CNAs to take the transition course. The very top LPN’s (highest qualified with plenty of experience) are known to earn in the region of $56 000 a year (about $27 an hour). As can be expected though, there will always be a limit to the salary of both the CNA and the LPN, further motivating nurses to study and become RNs or explore other fields in the medical fraternity. It’s certainly clear then why so many Certified Nurse Assistants look to make the transition to becoming a Licensed Practical Nurse, and one of the more convenient ways of doing so is via the CNA to LPN online programs available. It makes even more sense for a practicing Nurse assistant to take the online route as they can then study part time and utilize their in-hospital or clinic experience in tandem with the online theoretical courses. Many will say that the CNA is a great introductory avenue into nursing and that there will always be a role for them, but inevitably, most will look to take the next step up.